A long time without blogging but it was a really full period. I would love to have more time for writing and testing, but I have some "stressing" deadlines. 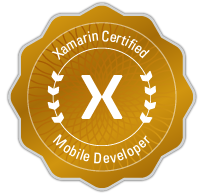 As you probably know Microsoft released the new version of the Windows Phone 7 Development tools and there is a new version of the emulator. The old "unlock method" still works and there is already an unlocked version on XDA Developers and you can download the image here. The new version of the bin doesn't work on the old XDE emulator because there seem to be some changes in XDE hardware emulation. The unlocked image pretty snappy and there are also some new programs. The best thing is that the unlocked emulator image works for debbuging in VS 2010 on my newly installed Windows 7 x64 on myApple macbook (I've reinstalled 3 times the macbook last week cause I configured more partitions for windows and I finally managed to replace my old Asus notebook). 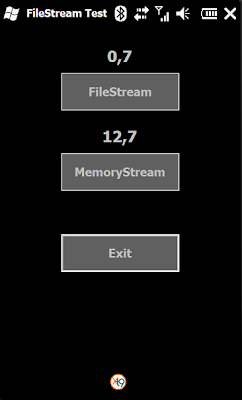 One of the things I've noticed is that an "empty" application uses 12 MBytes of RAM which seems a lot for an app that does nothing. 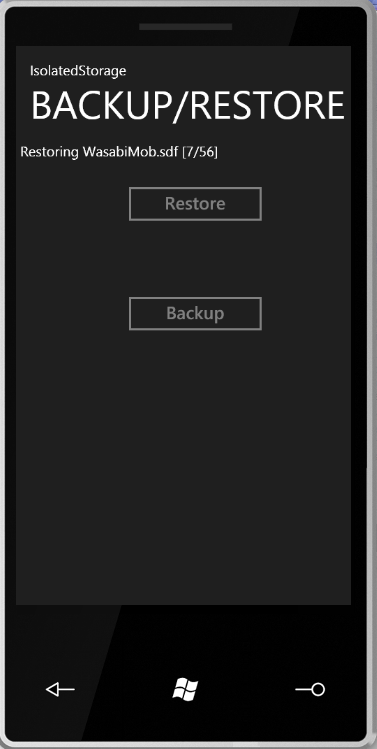 One of the drawbacks of the WP7 Emulator is that it doesn't save the state between sessions and also it is difficult to deploy a file with your project and then use it. This means that every time you start a new session of the emulator you loose all the data on the IsolatedStorage. I've developed a small solution (there is room for improvement) for backing-up and restoring the files (folder structure included) of the IsolatedStorage. It is using an WCF service that stores/sends file content from/to the IsolatedStorage in/from a folder named Backup located in the WCF project folder. For optimizing the communication the service uses binaryMessageEncoding. It also splits the files in 100Kbytes parts (you can modify this size from the source code if you want bigger parts- it will be faster) . The solution is easy to use even if it took me a lot of time to make it work (especially the readerQuotas, maxBufferSize, maxStringContentLength). In fact I was having "fun" with it at 3 o'clock in the morning. 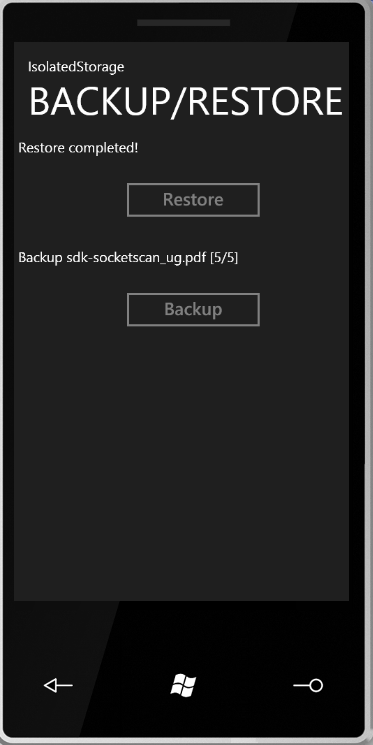 If you want to backup your IsolatedStorage just hit backup and it will write the content of IsolateStorage in the Backup folder of the pc. 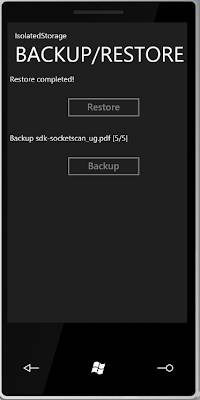 If you want to restore/copy files to the IsolatedStorage copy the files/folders you want to the Backup folder of the PC and then hit Restore and it will copy all the data to the IsolatedStorage. 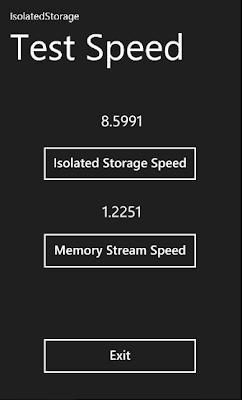 Dividing IsolatedStorage/MemoryStreamSpeed=8.5991/1.2251=7.019 and FileStream/MemoryStream= 0.7/12.7=0.05511. 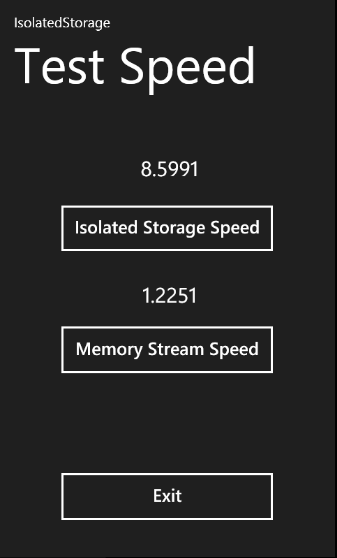 To get an idea about the speed differences we devide the two results and we get 127.3634 which means that the IsolatedStorage is 127 times slower than FileStream. Of course this is not an exact result, but should reflect the speed difference. I might have some "glitches" in the tests but I cannot figure them out. If this result is at least near to the real one it doesn't make any sense to implement db engine on IsolatedStorage. Another thing that I've noticed is that the x86 implementation of WP7 Emulator is much faster then the ARM emulation of 6.5 Emulator (at least MemoryStream implementation). The attached sample it's not simple line printing but implements a small part of the PCL5 interface. It will print two boxes and some text on any PCL5 compatible network printer (if you have such a printer you can try it). The only two parameters required are the IP of the printer and the port used for communication (usually 9100). Let's hope that soon we will see PrinterTouch or PrintTouch library :). If you need more details or find this post useful please let me know. I will continue my "quest" for developing a small S.F.A. application on the iPhone and/or iPad using MonoTouch. Initially this post was about WP7 Printing. Two days ago I thought that it would be nice to write about printing from WP 7 and iPhone and the only "compatible" that I could think of was using a WiFi printer (on the iPhone the bluetooth stack doesn't have implemented the SPP and you have to hack it ). It's something I've already did years ago in Compact Framework when I wasn't using PrinterCE or PrintCe and wanted to share it cause it is a new beginning and at some point in a small business application you will need to print something. (it was a proof of concept). 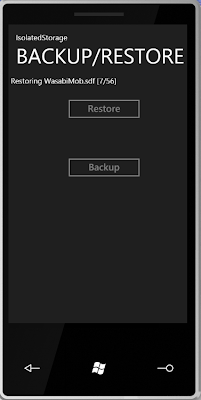 I got everything prepared and started writing the WP7 app when I saw that in the System.Net there is no socket support. I've started digging up, again, in the emulators files wanting to see if the System.Net file is the same on the emulator with the one in the SDK ("\Program Files\Reference Assemblies\Microsoft\Framework\Silverlight\v4.0\Profile\WindowsPhone"). What I've found out using Reflector is that there is no System.Net in the emulator image, but all the functionality is implemented in mscorlib.dll and there is also the Socket class fully implemented. What Microsoft did is to "cripple" the assemblies in the OS for the SDK. They made the version to be 2.0.5 (for some of the files) which will make compiled programs run just fine on 3.7 which is the the version on the emulator. 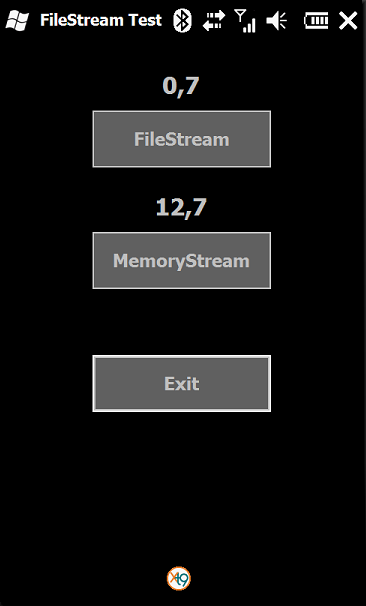 mscorlib for example in the development tools is 428kb and on the emulator is 1,18MB. Almost every assembly in the SDK is "crippled". If you want to compare the sizes just download this zip. I wanted to see if I can pass this restriction but the answer is no because the classes that are not available in the SDK assemblies on the emulator are compiled with the tag [FrameworkVisibilitySilverlightInternal, SecuritySafeCritical] (there is more than one tag) which results in a MethodAccessException if you try to use it. Printing just turned out into frustration. Sockets are there, database support it's there, Microsoft can use it but developers cannot. It's not that it is not implemented (like copy/paste), but somebody decided that it's not safe to use them. On WP7 forum somebody said that this functionality could compromise the user experience and it is not ready for prime time. It is strange cause we have being using sockets and database in NETCF programs for years and never influenced the user experience or seemed not ready. WP7 is a nice platform but developers don't have what they need, and some of this it's because Microsoft decided that they don't need it. 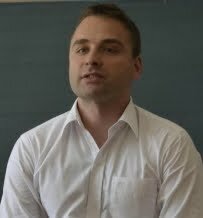 WebIS don't have what they need, Resco also, Mozilla stops development on WM and one week later they have an Android beta version, Skype don't have a WM version anymore should be enough reasons to change attitude.